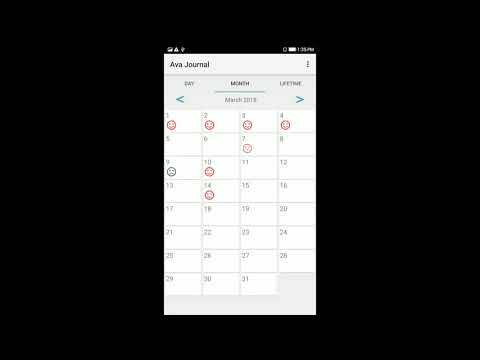 Ava is a simple journal, mood tracker and goal tracker in one app. It helps you achieve your goals by always keeping them in sight and putting your entire life in perspective when you use Ava journal to write about your day. Highlights your accomplished goals to remind you of your achievements and help you stay motivated. After a long day, your brain is filled with new experiences that it needs to process while you rest. Make it a routine to offload your experiences in Ava journal daily and review your goals often. At the end of every day, you should be asking yourself if you have made progress towards any of your goals or new year resolutions that day. Don’t waste another day of your life! Use Ava journal as a goal tracker to take control of your life, stop procrastinating and stick with your plan to achieve new year resolutions!